The HIPAA Privacy Rule permits patients to obtain a copy of their medical records from their healthcare providers on request. By obtaining copies of medical records, patients are able to take a more active role in their healthcare and treatment. Obtaining copies of medical records also makes it much easier for patients to share their medical records with other healthcare providers and make smarter choices about their healthcare. The Department of Health and Human Services’ Office for Civil Rights (OCR) recently explained patients’ right to obtain copies of their medical records and created a series of videos explaining how the HIPAA Privacy Rule applies to patients. OCR also issued guidance for HIPAA-covered entities on allowable charges for labor, printing, and postage last year. A flat fee of $6.50 has been recommended for providing electronic copies of medical records – should HIPAA-covered entities opt for a single charge for providing designated record sets to patients. While not all covered entities choose this model, the costs associated with obtaining copies of electronic copies of medical records are usually relatively low. However, not all patients have easy access to the technology that will allow them to view those records. In such cases, paper copies are the only option, yet the cost of obtaining printouts of medical records is often considerably higher. In many cases, obtaining paper copies of medical records can be prohibitively expensive, especially for patients who have extensive medical histories spanning several pages. If the costs of obtaining medical records are too high, patients will be discouraged from accessing their medical records. That can make it harder for patients to choose their healthcare providers and share their ePHI. Many physicians are concerned that the amounts being charged by some healthcare providers prevents many patients from exercising their rights under HIPAA to obtain copies of their medical records. A recent article published in JAMA Internal Medicine highlights just how expensive it can be for patients to obtain their medical records if they choose paper over electronic copies. The researchers indicate the cost of obtaining paper copies of medical records in Texas, for example, can be as high as $3.57 per page, not including the cost of postage or providing images. For a medical file of 15 pages, the cost would be $53.60. A full copy of medical records spanning 100 or more pages would see the price jump to several hundred dollars. For many Americans, the cost would prevent them from obtaining a copy of their records. The high cost not only prevents patients from sharing their data with healthcare providers, it also has potential to prevent patients from providing their medical data for use in research. 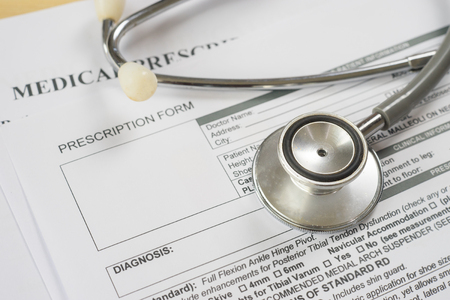 Patients would also not have the opportunity to check their medical records for errors, which could have a major negative impact on future care. Currently, only one state – Kentucky – has laws in place that require healthcare providers to provide copies of medical records free of charge in the first instance. Researchers for the article suggest that the laws in Kentucky should serve as a model that all states should follow.